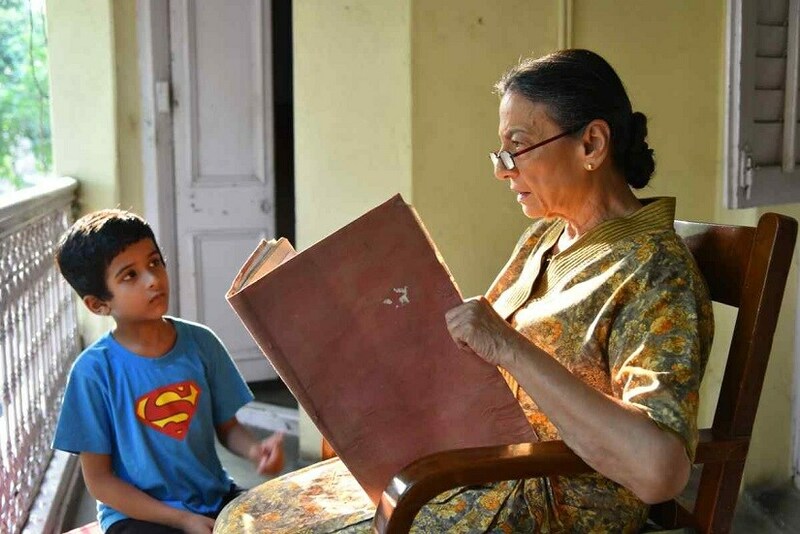 Veteran actress Tanuja plays a stern and grumpy old woman, who has single-handedly raised a son after the untimely demise of her husband. 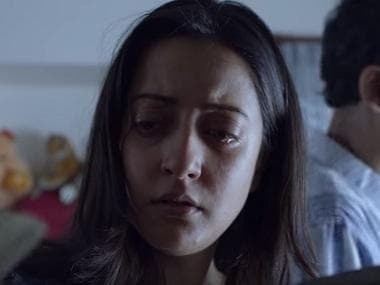 But she now has an estranged relationship with her grown up son (played by Jishu Sengupta, in arguably his career best role), who lives separately with his wife. When an NGO worker brings a young orphan boy to spend time with her, the bitter old woman seems to find an opportunity to relive the fond days which she had spent with her son as his friend. The adult son, in turn, sees a forgotten reflection of himself in that orphan boy, and begins to question his own attitude towards the mother he used to love so dearly. Towards the beginning of the film, the rift between mother and son just does not seem to go away, despite the best of intentions and the sincerest of efforts made by both of them. Chatterjee’s skill lies in the fact that he does not succumb to the clichés, and shows that mother and child are equally responsible for the strained relationship. The fact that both have distanced themselves from each other and that more than anything else, it is all a by-product of inflated egos and hurt prides, is something that is deftly brought forward and portrayed in a sensitive manner. I was fascinated by the way Chatterjee has mounted the story. His approach to the plot is unique and innovative. There are no blacks and whites here – only various shades of grey. While the mother’s fiercely independent nature threatens to spoil her relationship with even those who genuinely want to reach out to her – her daughter in law. For instance, the son makes the mistake of taking her insecurities to heart, not stopping to think that after a certain age, an adult begins to exhibit child psychology and has to be dealt with accordingly, with compassion and patience. Chatterjee extracts some top-class performances from his actors. Jishu Sengupta is a treat to watch, as he simmers helplessly in the face of his mother’s inexplicable actions which seem to alienate him more and more every day for no apparent fault of his. When did his mother stop being his friend? That is a question that seems to nibble away at his consciousness bit by bit, leaving him with a sense of frustration, rage and hurt. And the brilliance with which he portrays these emotions on screen is simply marvellous. I wouldn’t be surprised if Tanuja sweeps away all the major awards this year for her performance in Shonar Pahar. Her performance reminded me of Jessica Tandy’s Oscar winning role as the grumpy old school teacher Daisy Werthan in the 1989 Hollywood feature Driving Miss Daisy. She is gravely stern, but her eyes give away the love that she hides for her son. She sits in her armchair, staring blankly at the ceiling, even while the streams of tears rolling down her eyes reveal the storm that’s raging inside her. She is a masterclass in herself and her old, haggard, exhausted face oscillates between grief and a put-on show of indifference, as the situation demands. It is virtually impossible to hold back one’s tears as she, with all her motherly instincts intact, pulls off what is clearly one of the best climax scenes we have seen in a Bengali film this year so far. Srijato Bandopadhyay is a precious find as the orphan boy Bitlu, who, in essence, is nothing but a mirror that life holds to both mother and son – offering an opportunity of redemption to both of them. Chatterjee uses the child actor as a metaphor for second chances – a time shift that lets you live your life once again, this time with full awareness of all the mistakes you have made in the past. With his innocent ramblings, and harmlessly crude and unpolished attitude, the young boy is the heart of the film, bringing in the necessary chuckles as a welcome relief between the heavy scenes, and winning hearts through those deeply emoting eyes and that perfectly mastered North-Kolkata accent. But despite all the brilliance, there is one thing that did need a bit more attention – and that is the pacing of the film, which could easily have been at least fifteen minutes shorter, if not more. Several scenes are repetitive in nature, saying the same things, and displaying the same emotions over and over again, thus majorly sacrificing economy for effect. I also felt that an entire plot device around a story set in a jungle could have been handled better. But I am happy to overlook these flaws for what is essentially a finely crafted film. It is a film that you will find yourself tossing and turning in your mind well after you have left the theatre.